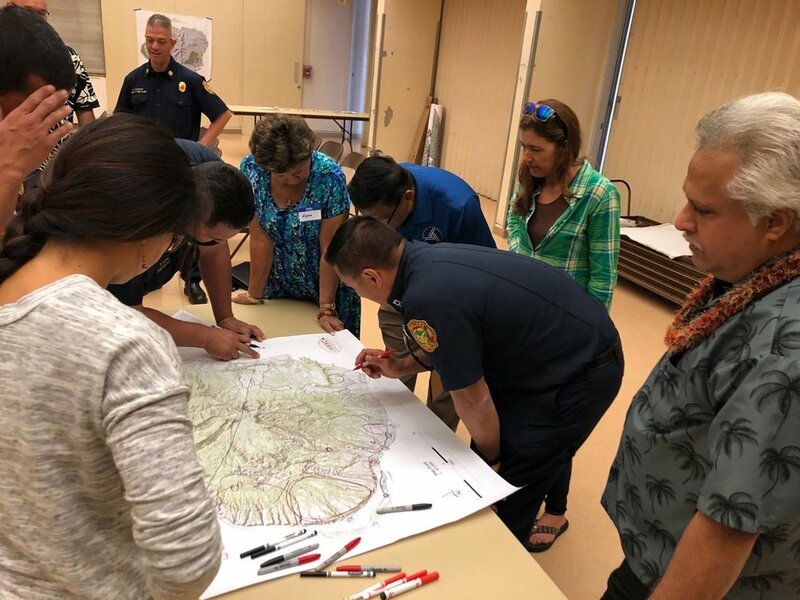 View of the wildland-urban interface of West Oahu from atop Palehua. 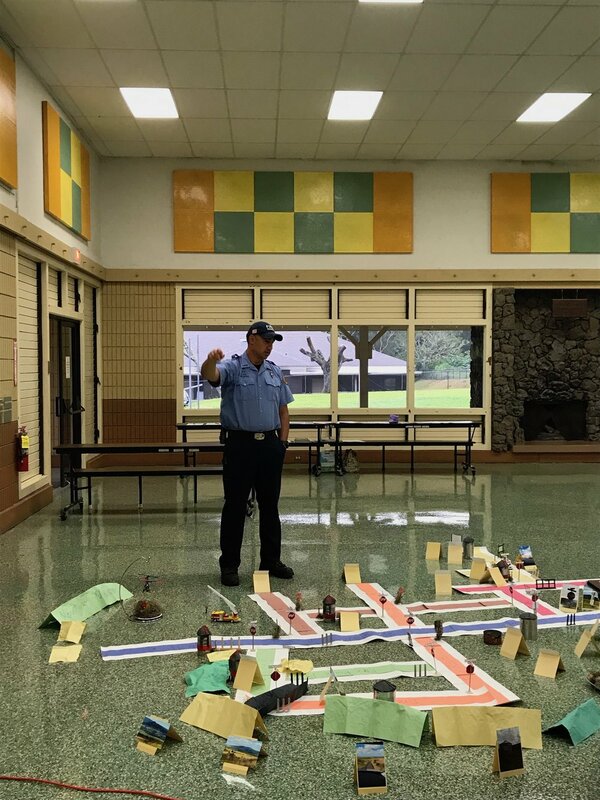 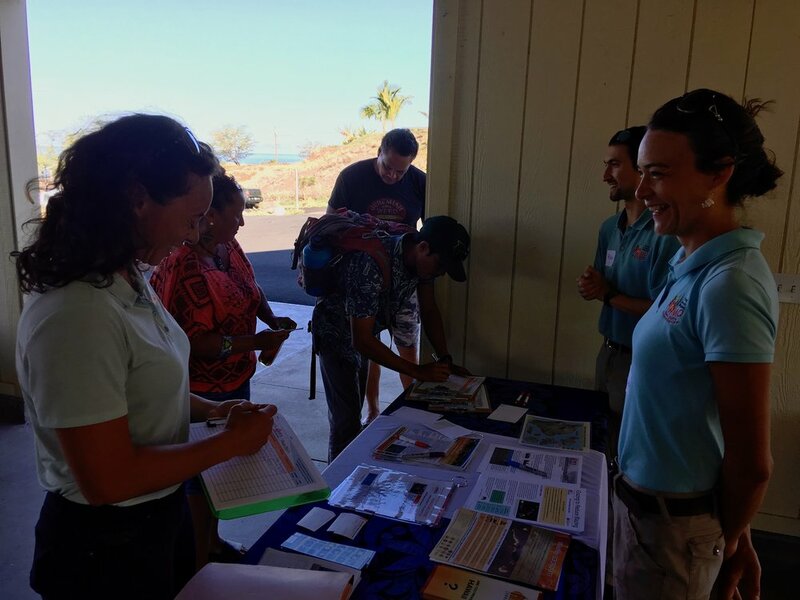 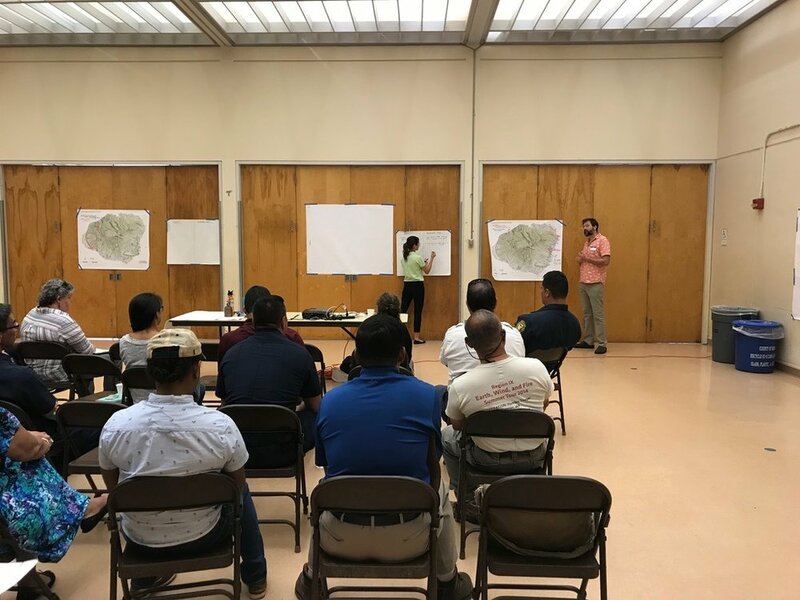 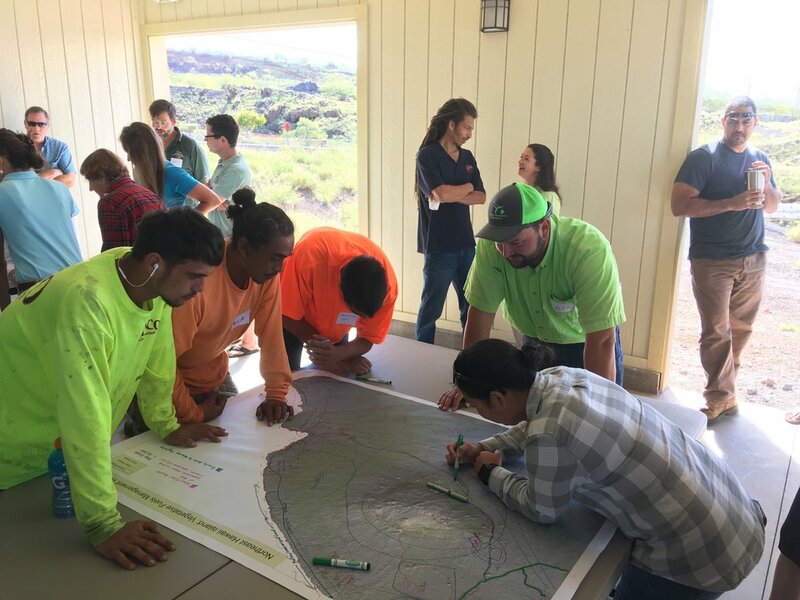 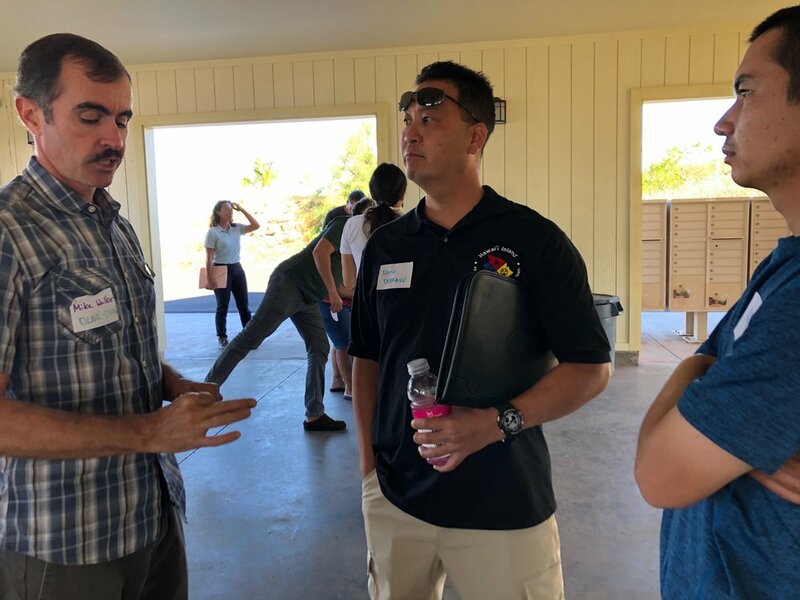 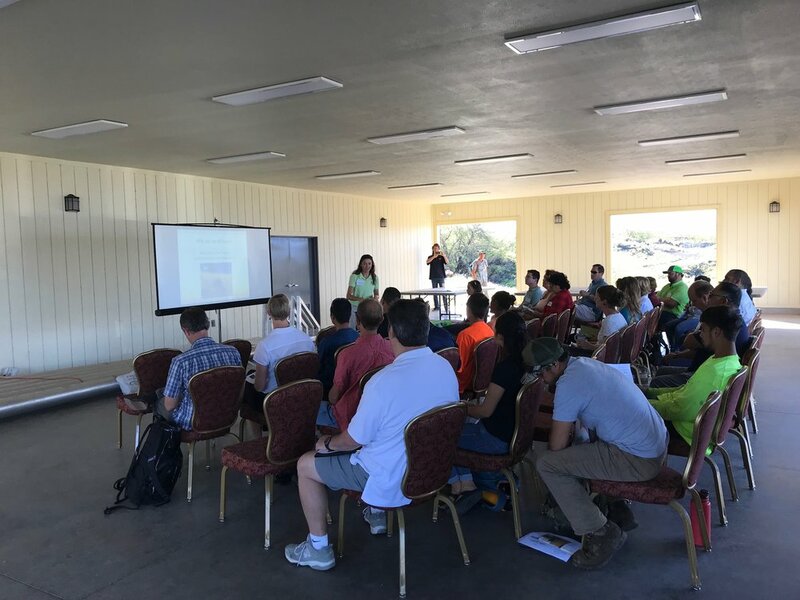 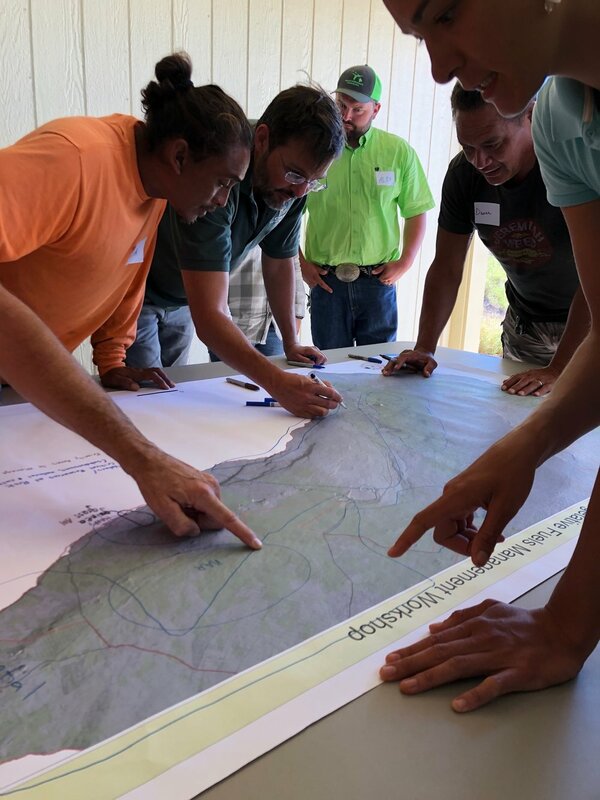 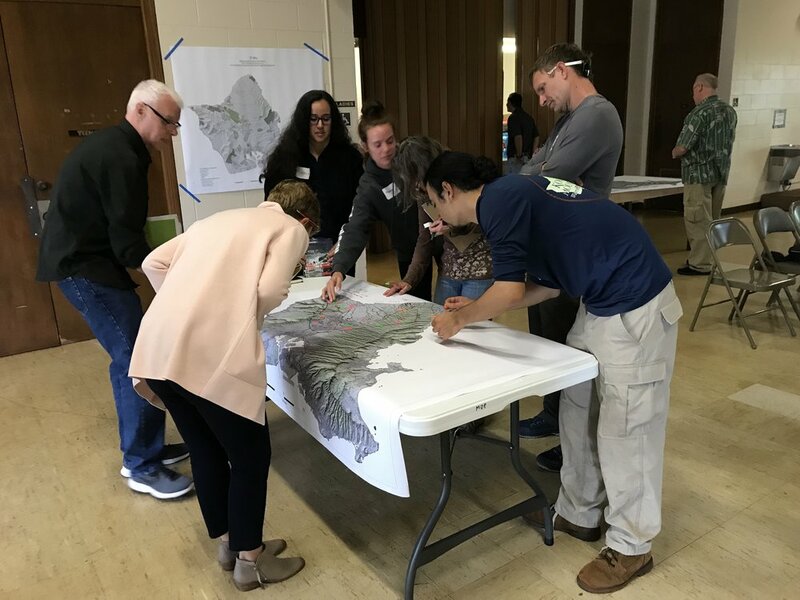 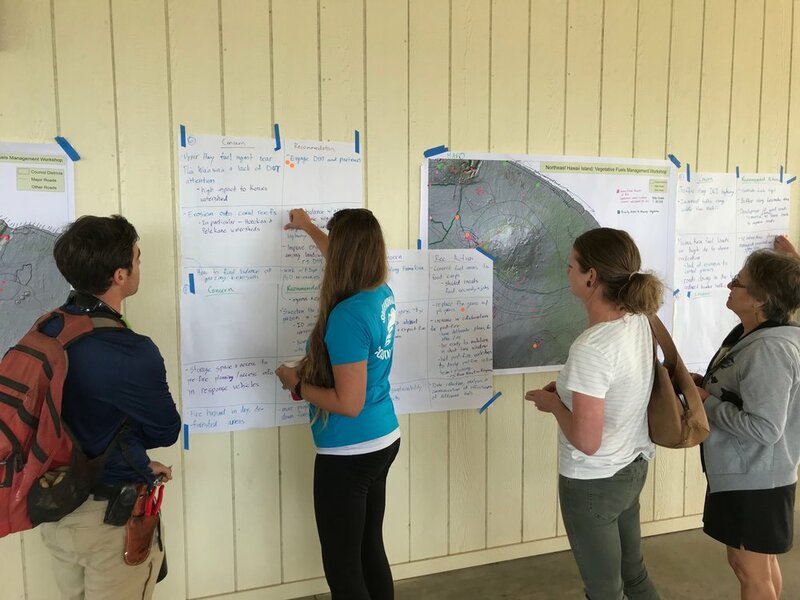 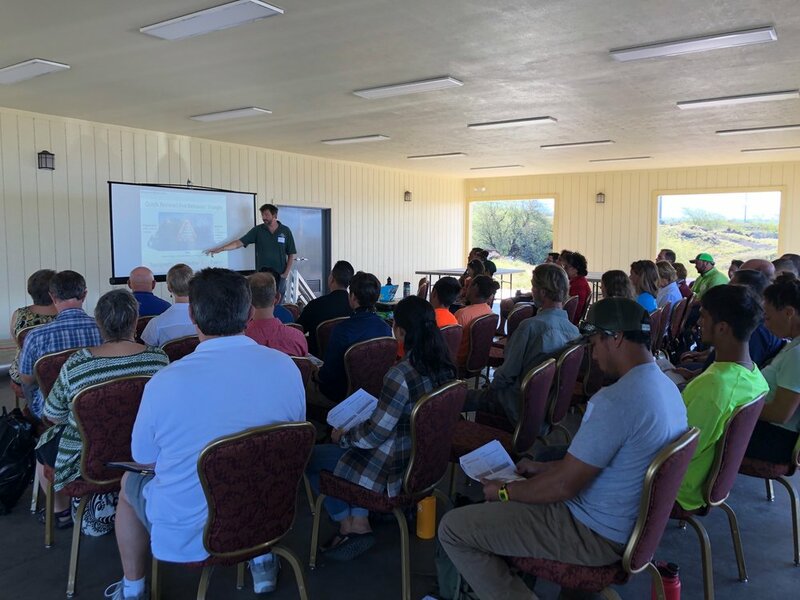 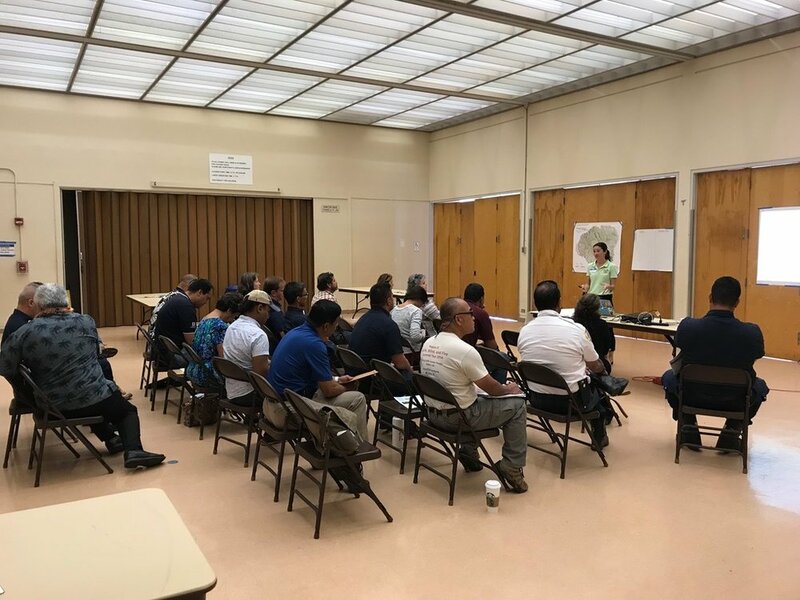 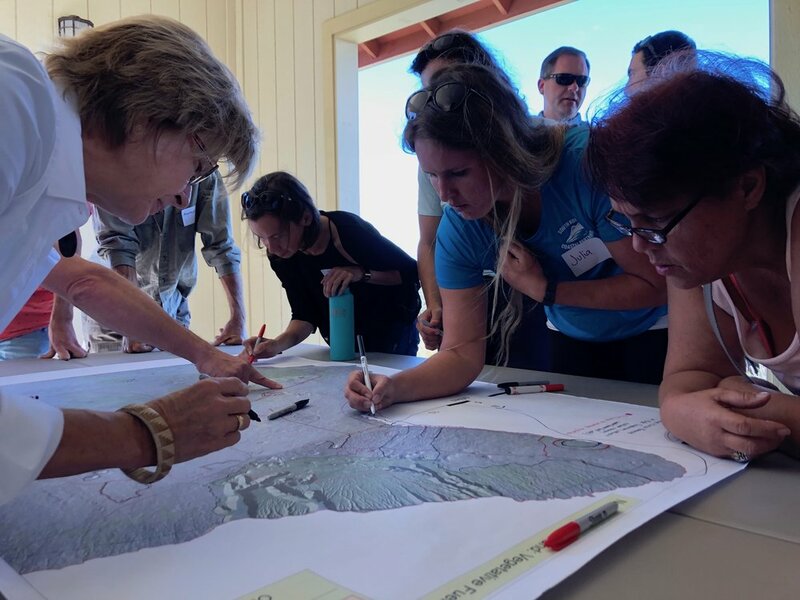 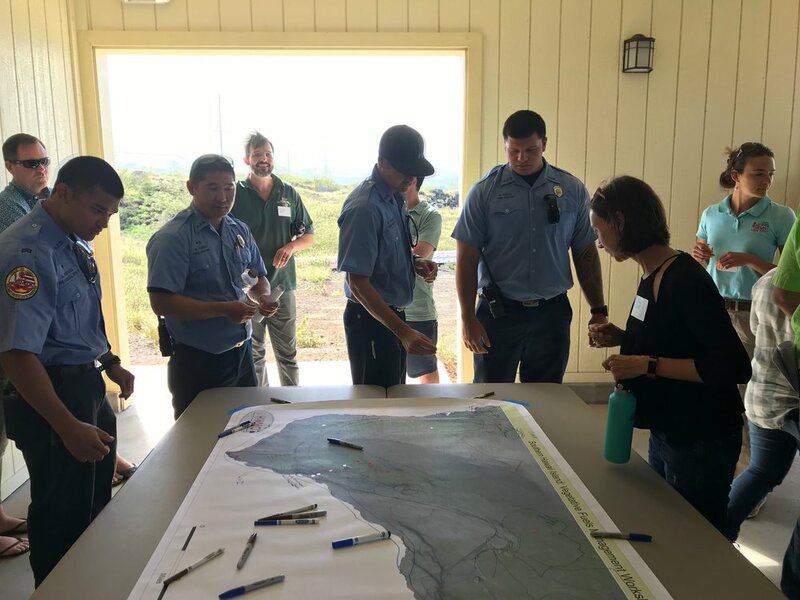 HWMO’s Community Outreach Coordinator, Pablo Beimler, met with Waianae Mountains Watershed Partnership on June 26 in Palehua on the leeward slopes of the Waianae Mountains in West Oahu. 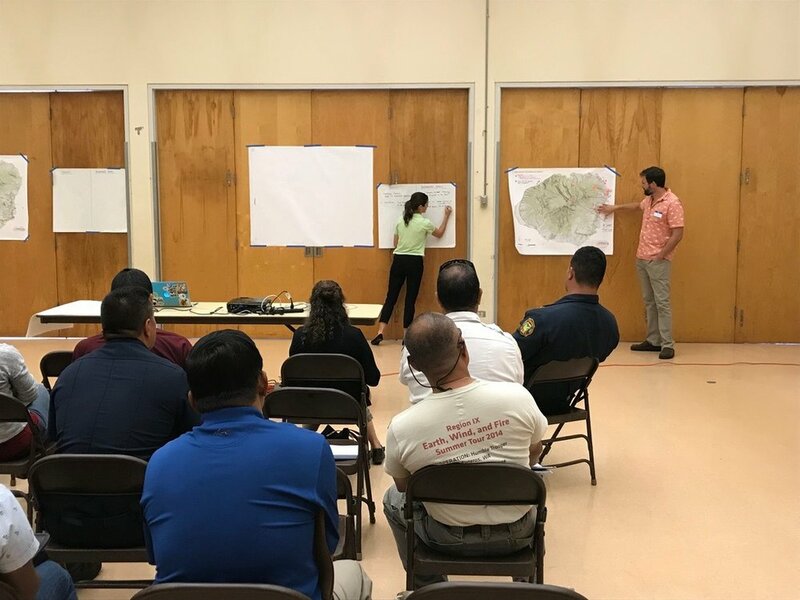 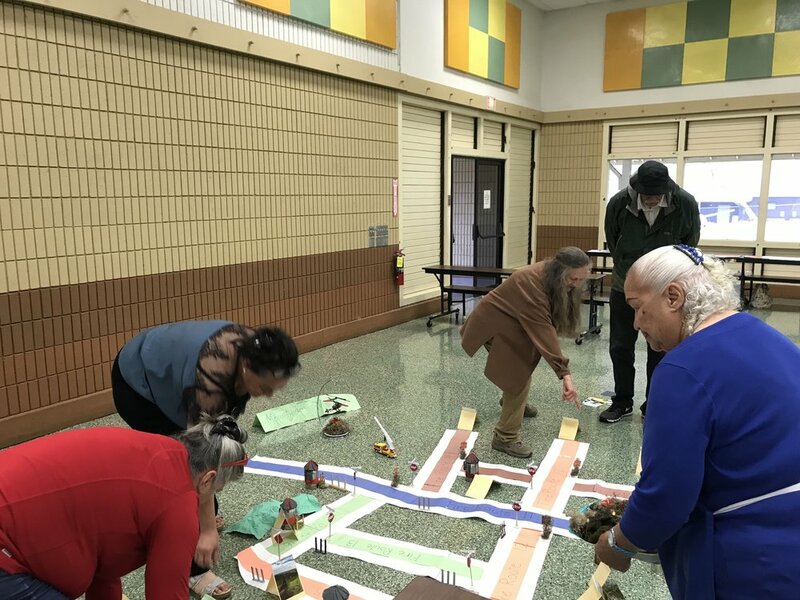 Pablo presented and introduced to the group the vegetative fuels management mapping project HWMO was coordinating to improve landscape-level prioritization, collaboration, and funding capabilities of fuels management. 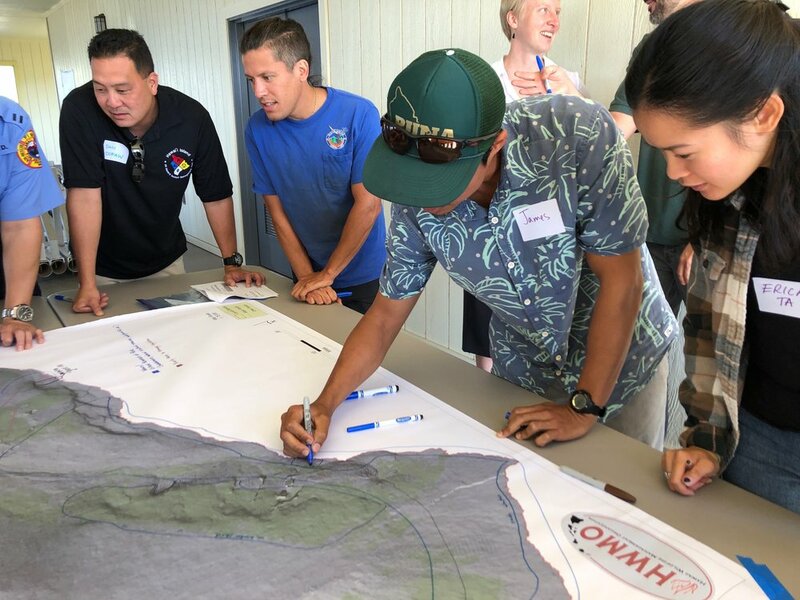 HWMO will be working with the partnership to hold a workshop in the coming months to gather data for the project. 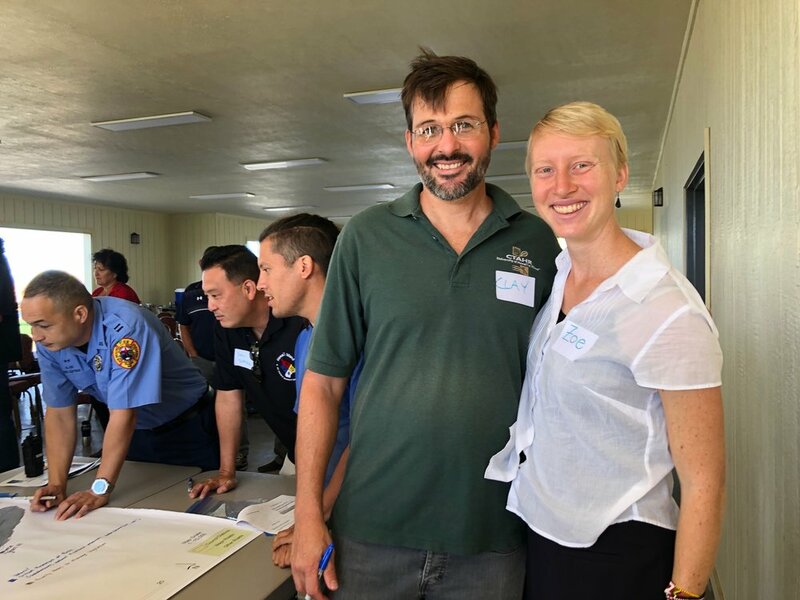 For this year’s annual Kauai Brushfire Meeting, HWMO’s Executive Director, Elizabeth Pickett, flew to Kauai and joined a room full of first responders (including Chief Robert Westerman), other agency officials, and land managers to share updates and plans for the coming months in preparation for wildfires. 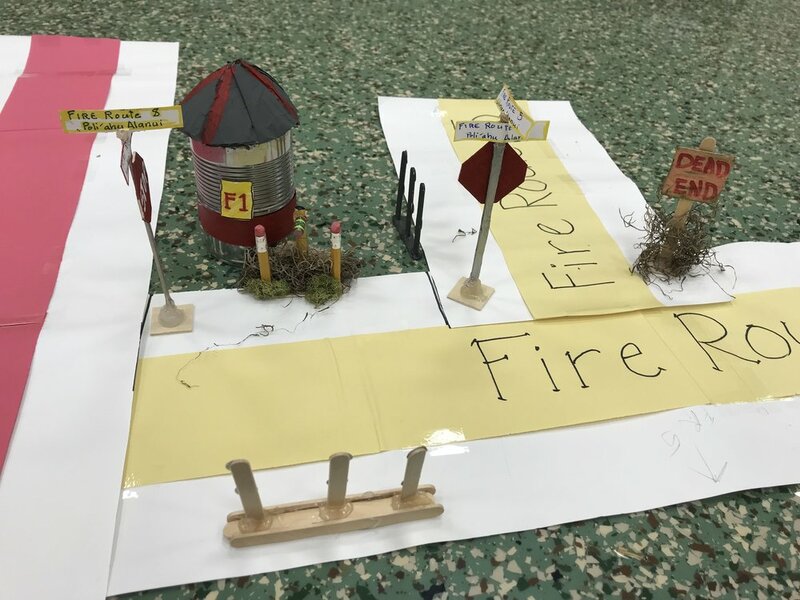 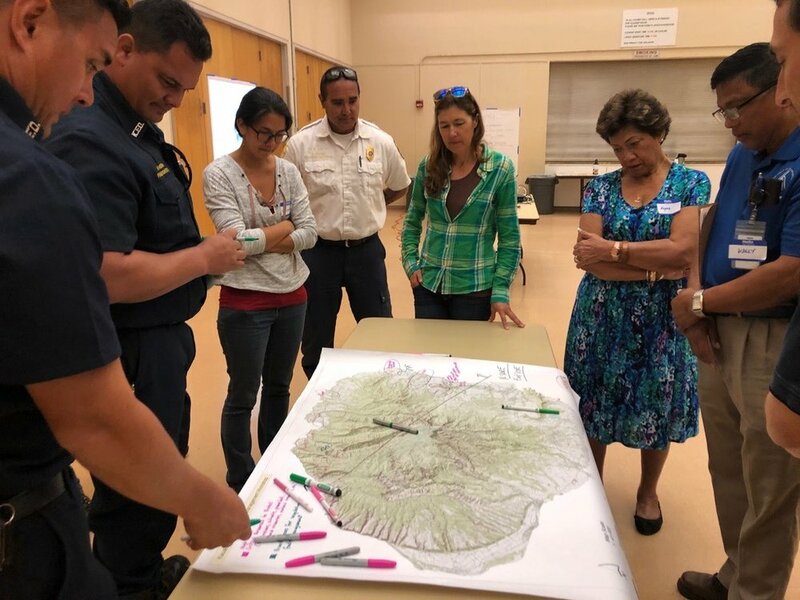 Kauai may be the Garden Island, but wildfires are a frequent occurrence on the island during drier periods and especially during droughts, which are predicted to be a possibility in the beginning of 2019. 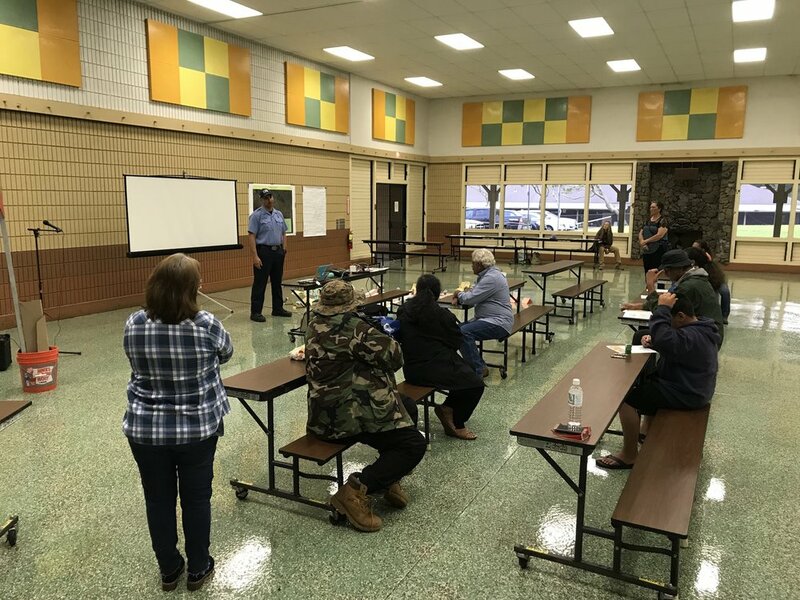 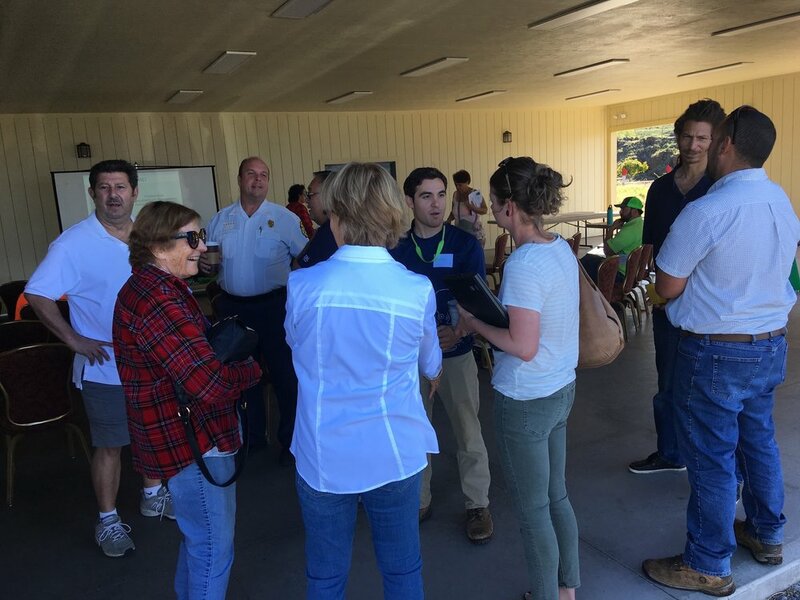 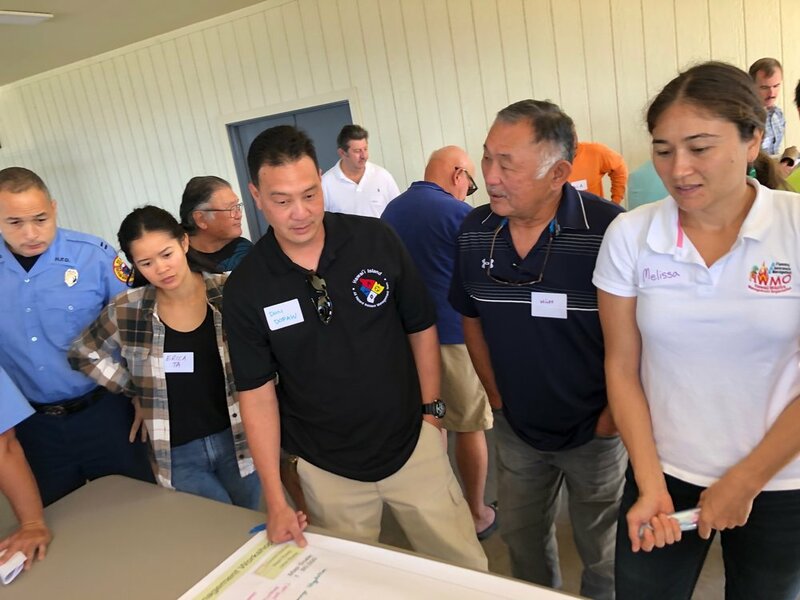 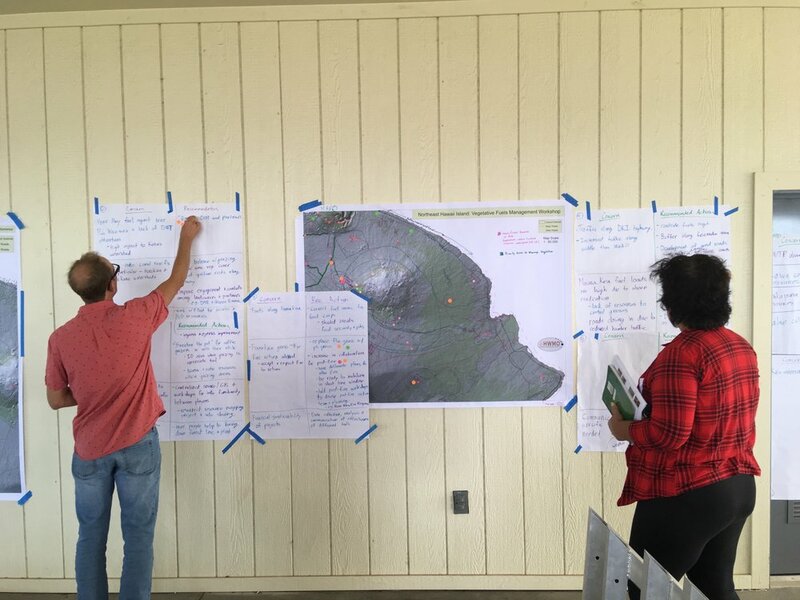 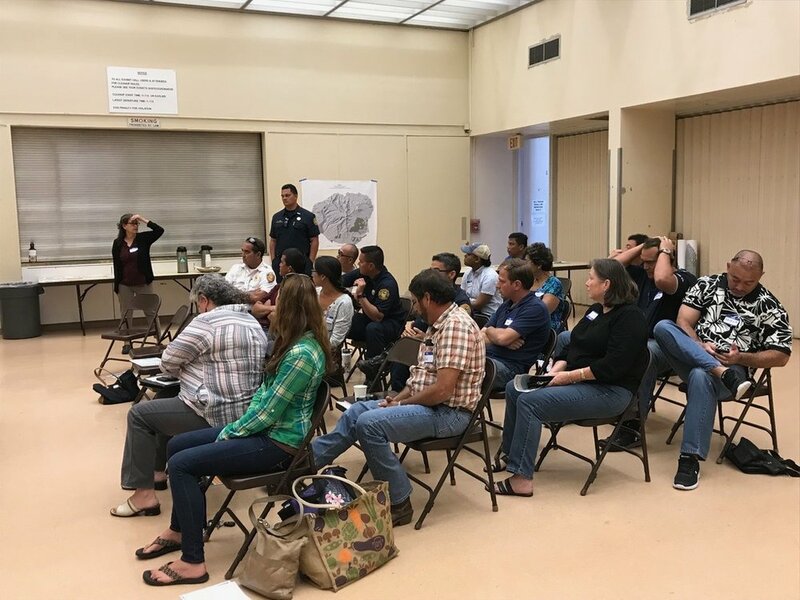 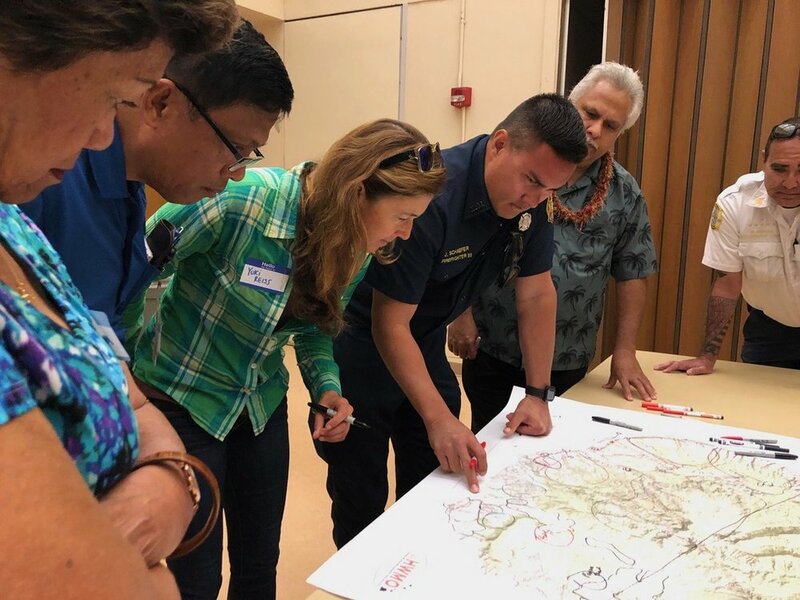 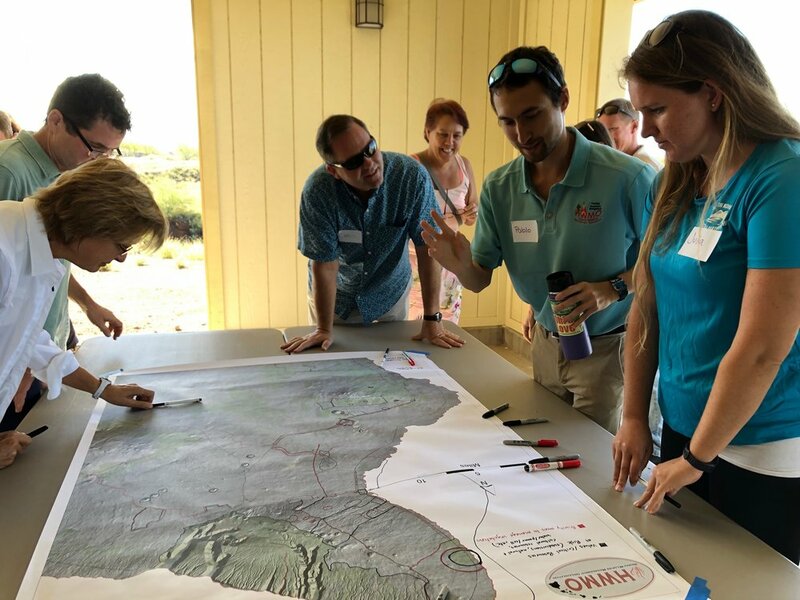 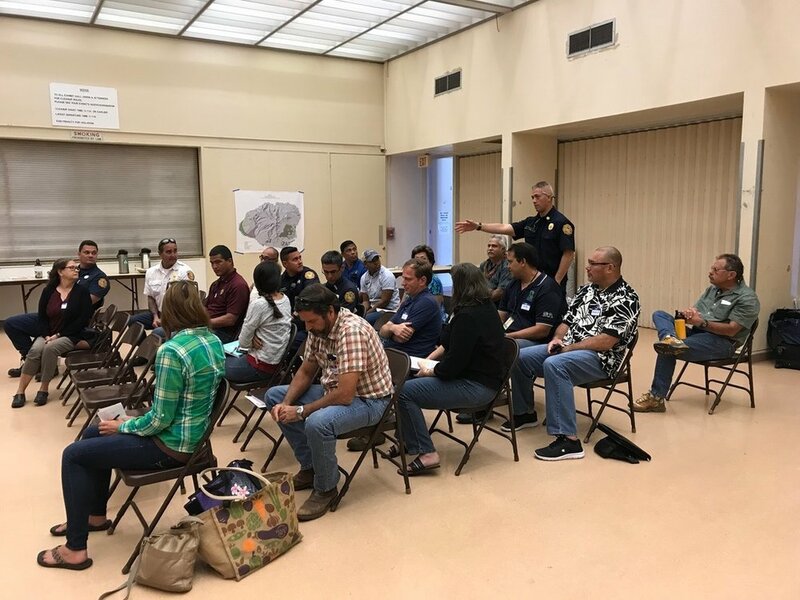 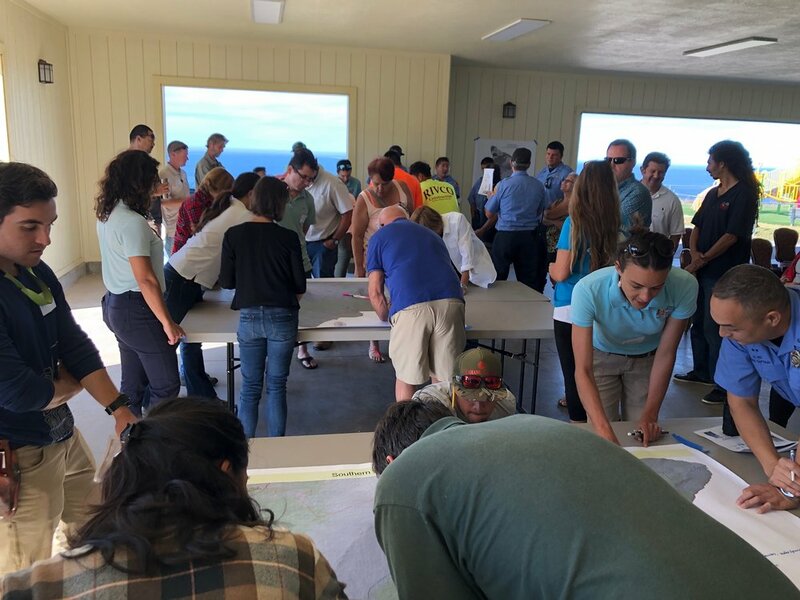 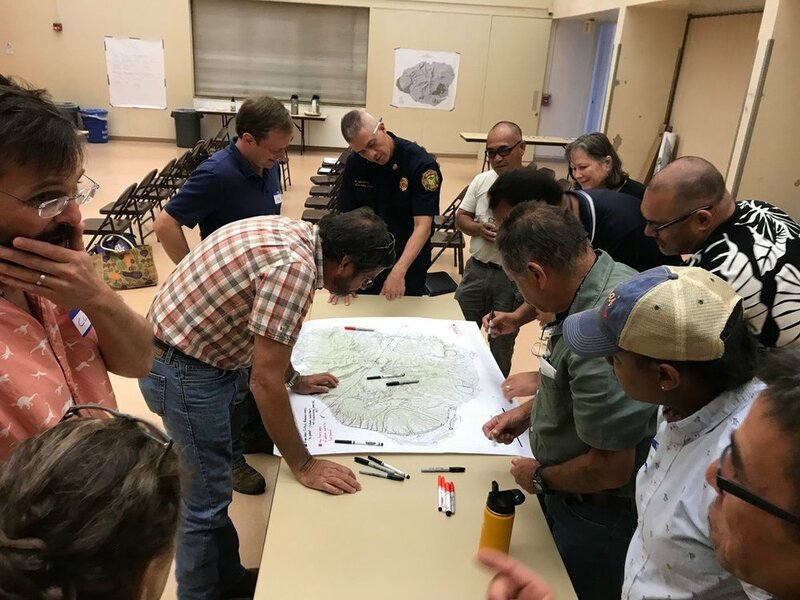 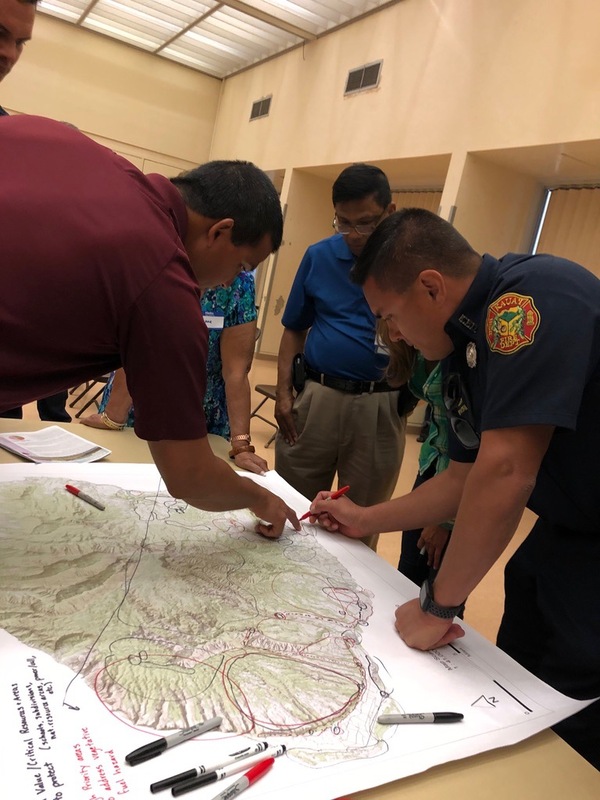 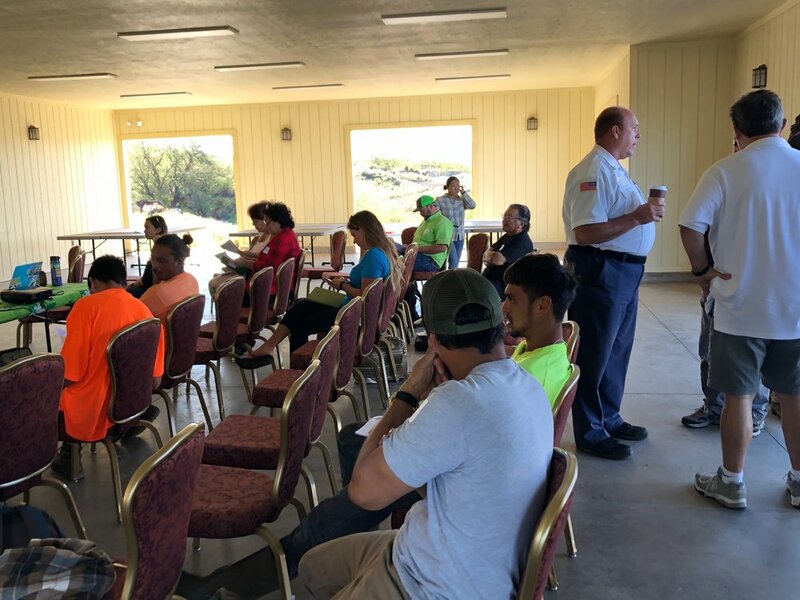 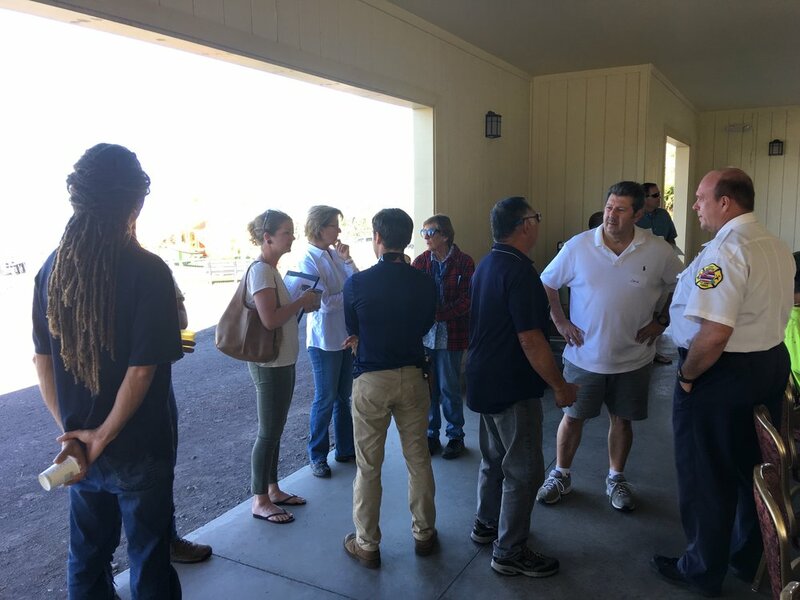 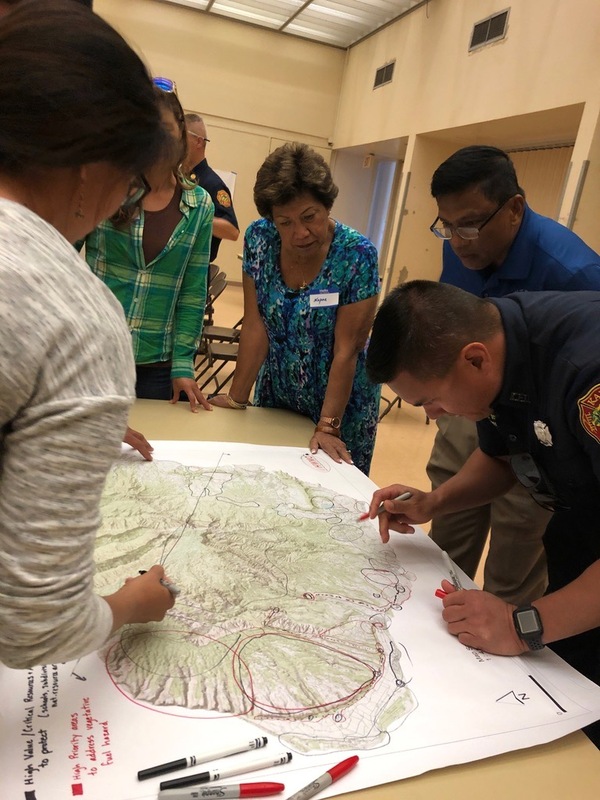 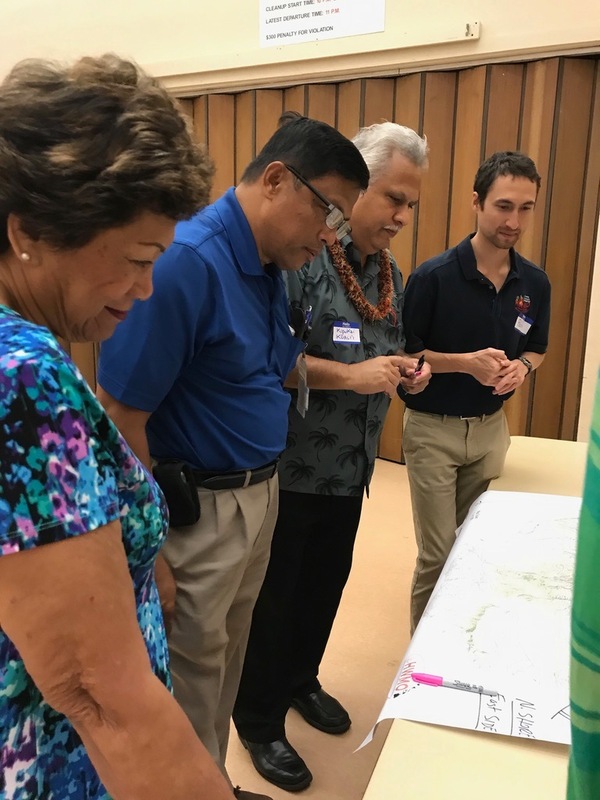 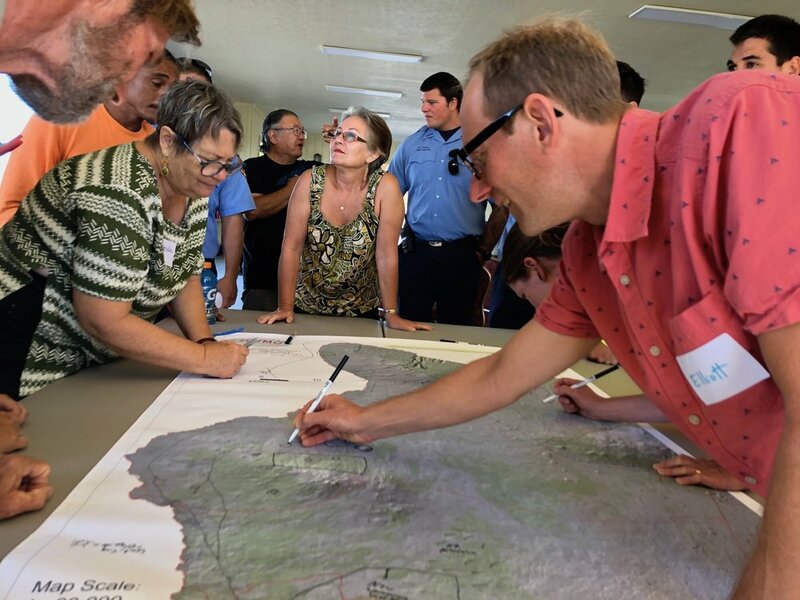 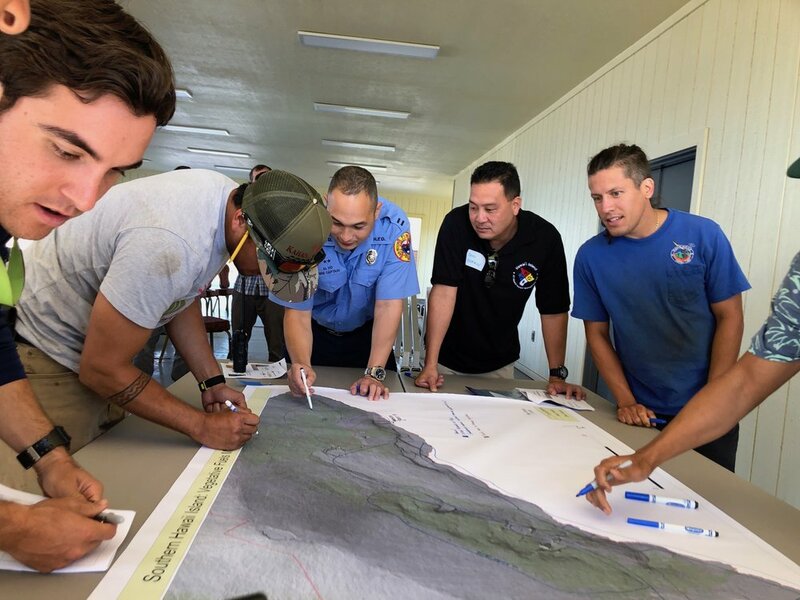 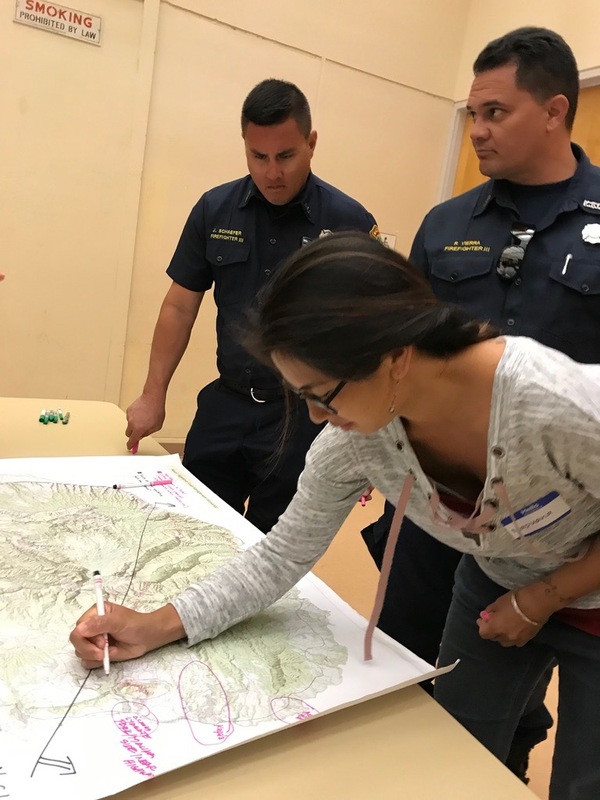 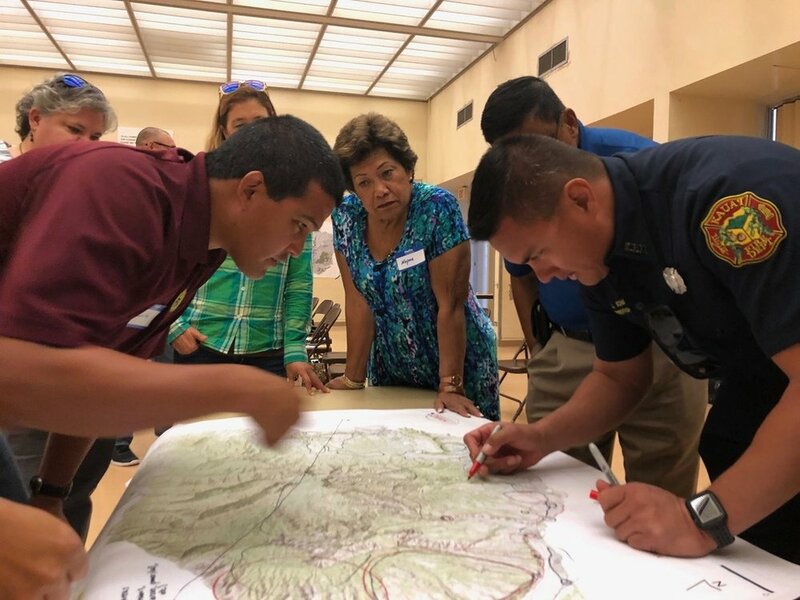 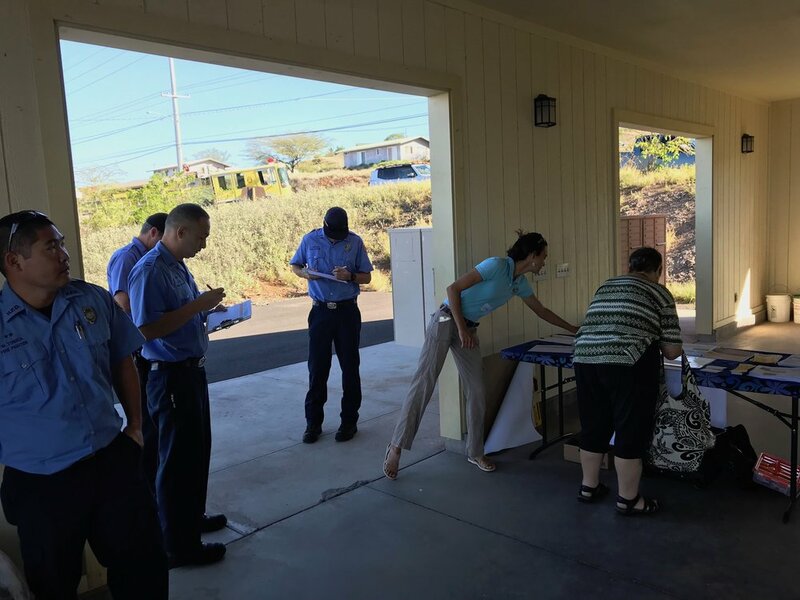 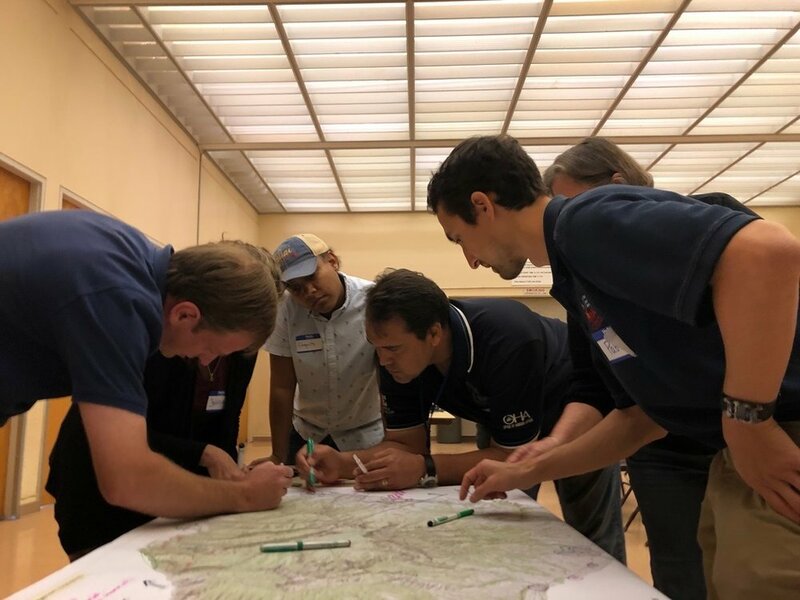 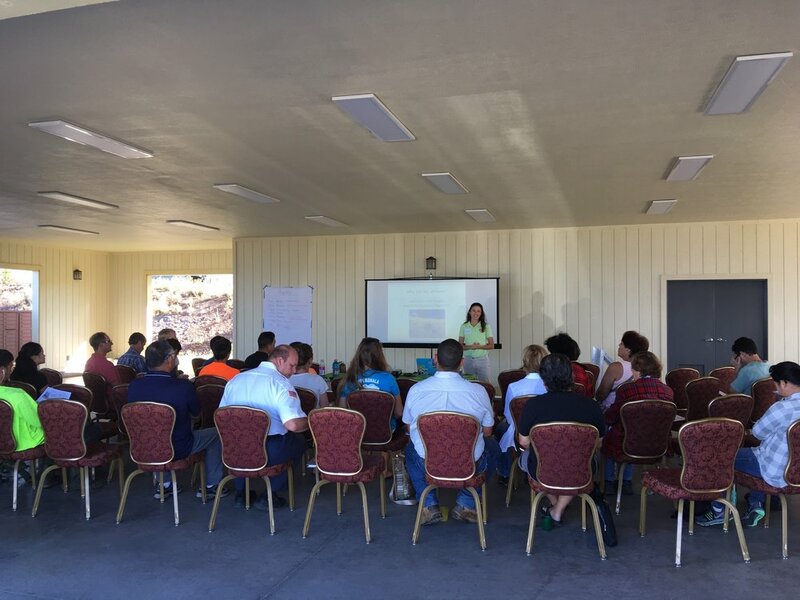 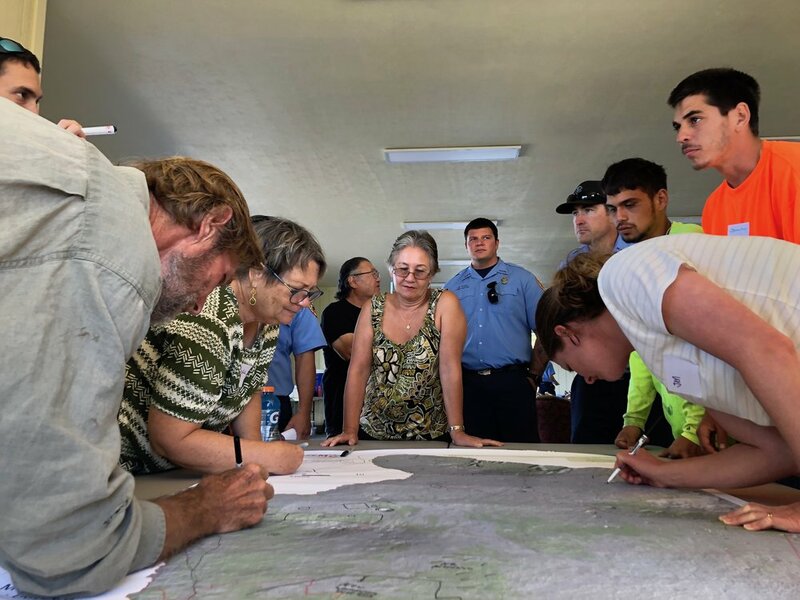 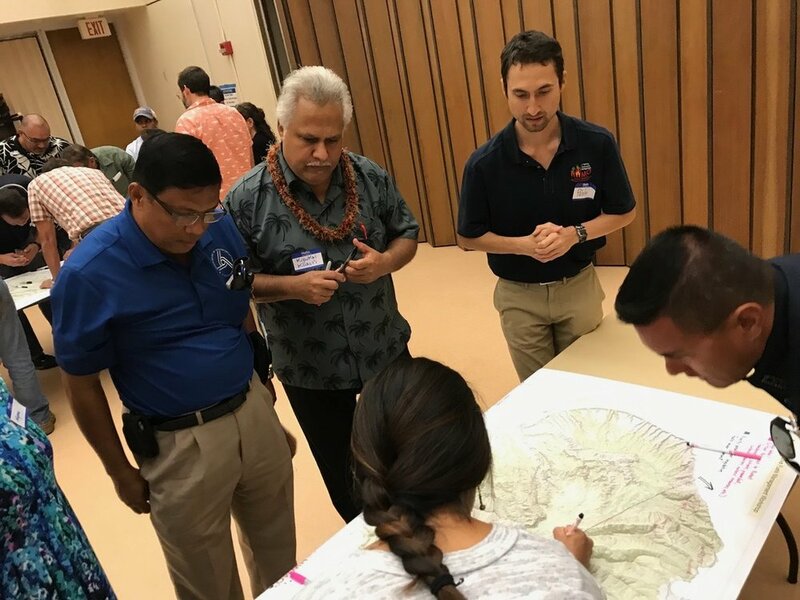 Kauai Brushfire Meeting brings together government, NGO, and local business representatives together to keep each other updated on the latest wildfire news and management projects. 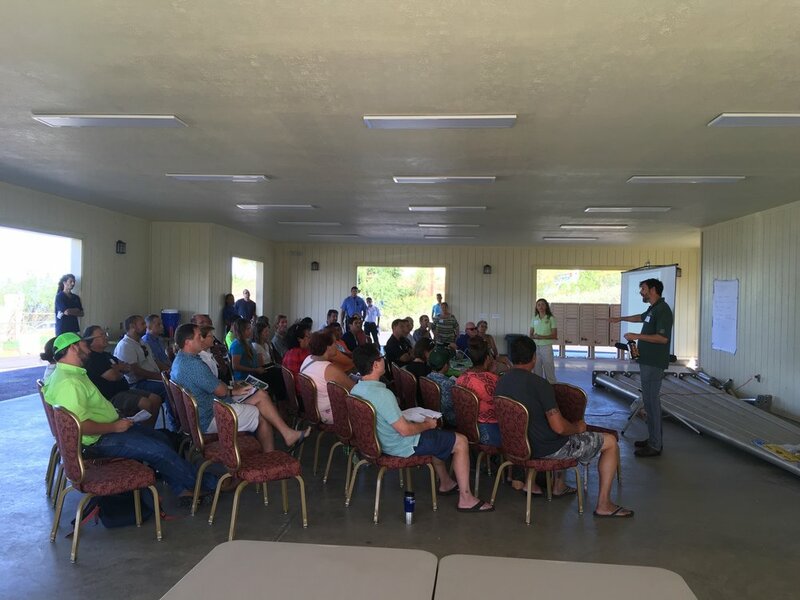 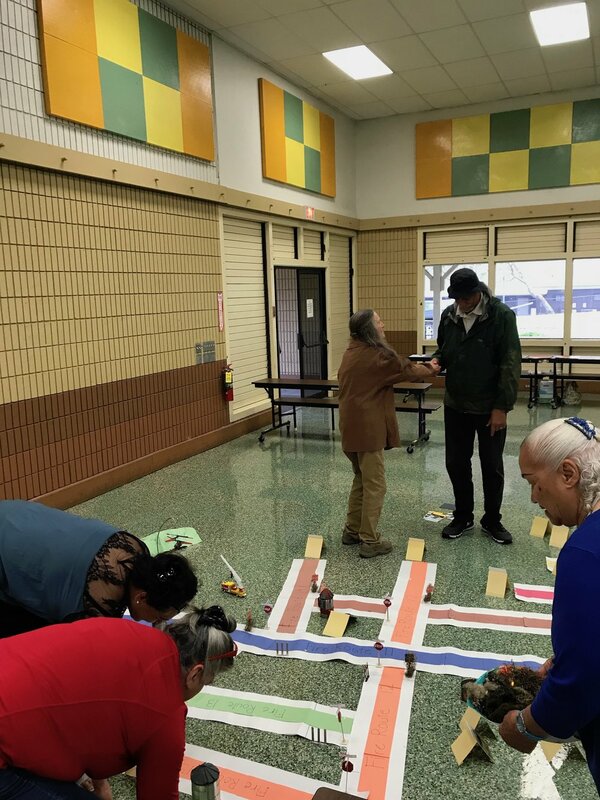 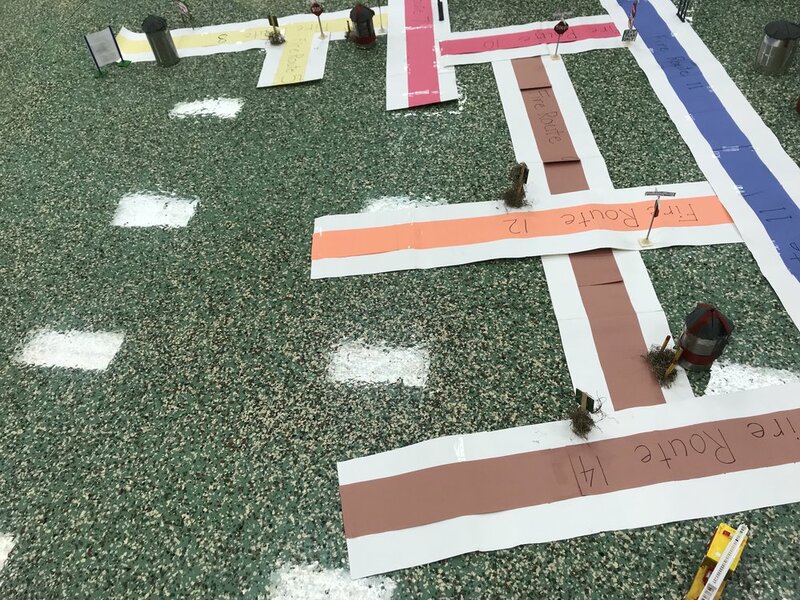 Photos are from the 2016 meeting.